Brady Kappius entered the National Championships Cyclocross single speed contest in Madison today with a winning mindset, having earned a second and a first place last week in Kansas City’s Series 60 Cyclocross races. 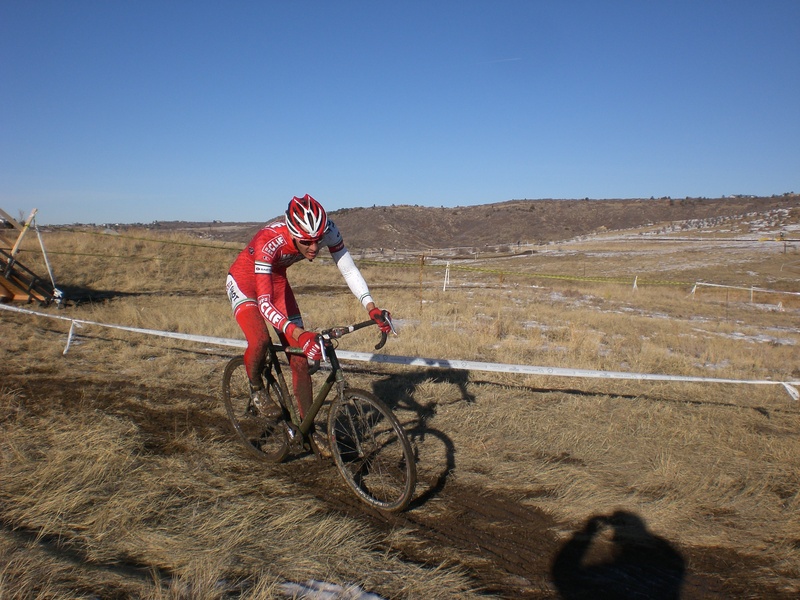 Just two weeks earlier, he won the Colorado State Cyclocross single speed championship. Kappius wanted to win again in Madison. To reach the podium he completed the third lap with course tape twined in a gear that skipped with every pedal stroke, and ran a climb he would normally ride. A friend from Challenge Tires helped him replace his rear wheel in the pit. 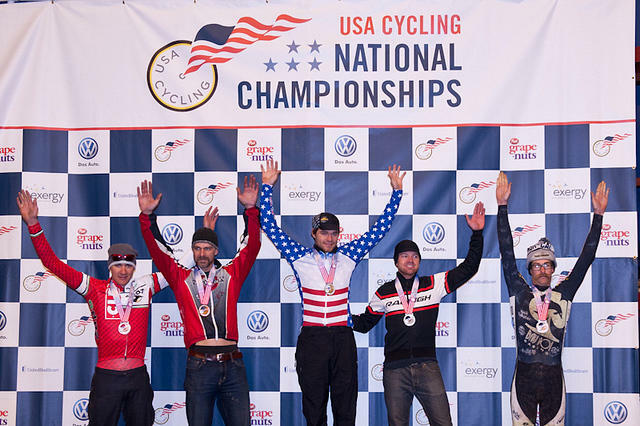 He powered off, securing the fifth and final place on the national championships podium. Kappius tries to be positive even when he’s disappointed. “Being in the top three, I was riding well, so it’s a bummer. 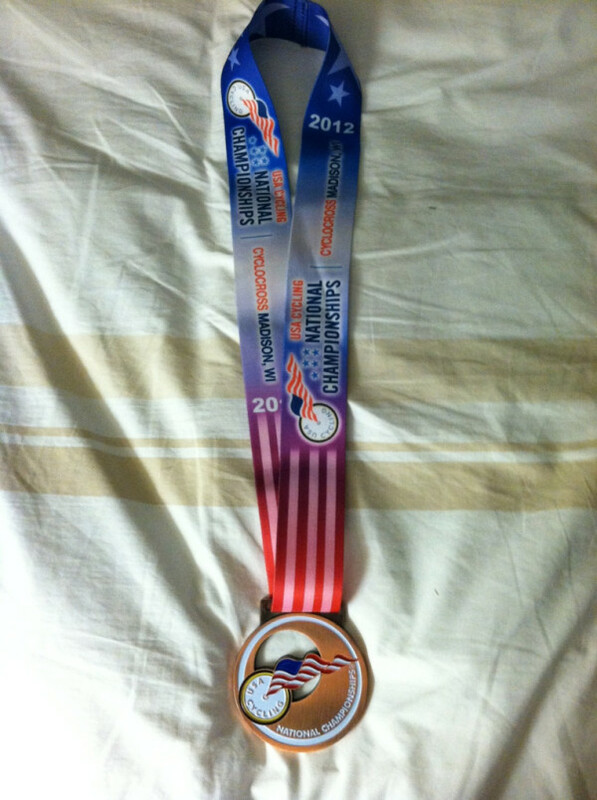 But it’s better than getting 5th with bad legs,” he said. After the podium, he strapped on his helmet again on top of a winter hat and rode eight miles to his hotel in the dark. From now until Sunday, Kappius’ schedule includes a recovery ride tomorrow, daily short rides, tune-up efforts (going hard for a lap on the course, sprints, start simulations) on Saturday, and lots of relaxing and trying to stay off his feet.